Innovative heat reducing technology and legendary sharp cutting performance to provide the user with the coolest and sharpest blades possible. Size 4: Skip Tooth leaves hair 5/8". 3/8" cut/ 9.5mm. 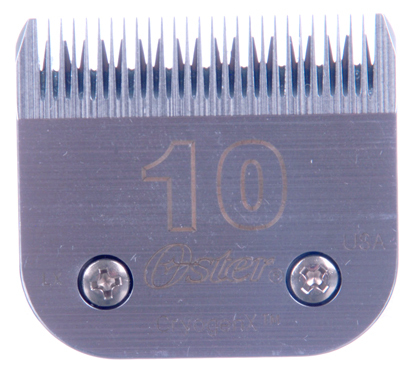 NOTE: Oster CryogenX Blades fit all A5 and Power Pro clippers. "# 4 pet oster blades"
Like it to trim my fox's legs, just the good size.